I found Kolo Piercing about a year ago and have ordered organic jewelry in smaller sizes in the past. My last order was for the three different pairs listed above. 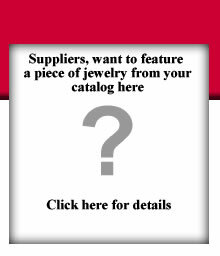 I have found that this site offers the widest variety of stone, stainless steel, horn, bone, wood, anything! Plugs, talons, tapers, spirals, they have it all. The prices may seem a little high for some of their stone and jade pieces, however, I have NEVER been disappointed when I have received my shipments. The only disappointment came when I learned that the jewelry I wanted wasn't in stock (which is rare). This was the Gray Agate Rings. But with the help of a rep from Kolo I was able to pick out some great replacements which they shipped immediately. I highly recommend this site for unique jewelry as they really have beautiful, rare pieces. They also offer reviews by other customers on most pieces of jewelry - all have 4 or 5 stars out of 5.